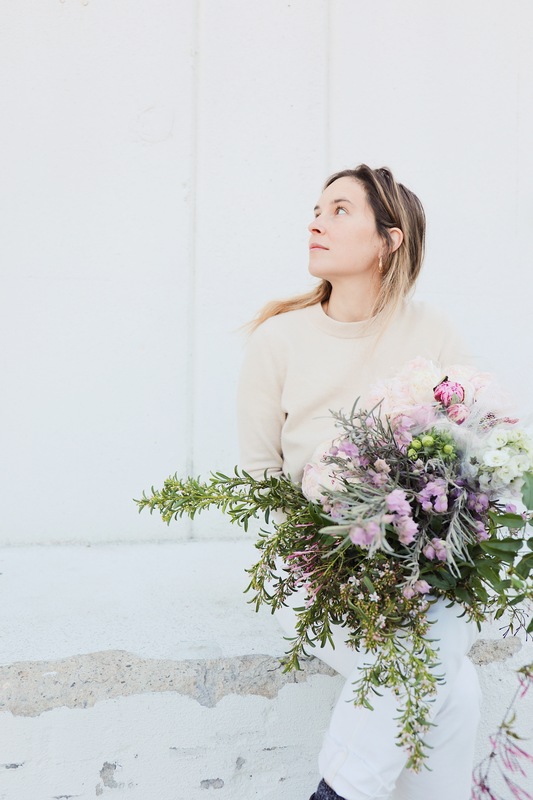 Pigsty is a boutique floral design studio based in Venice, California. 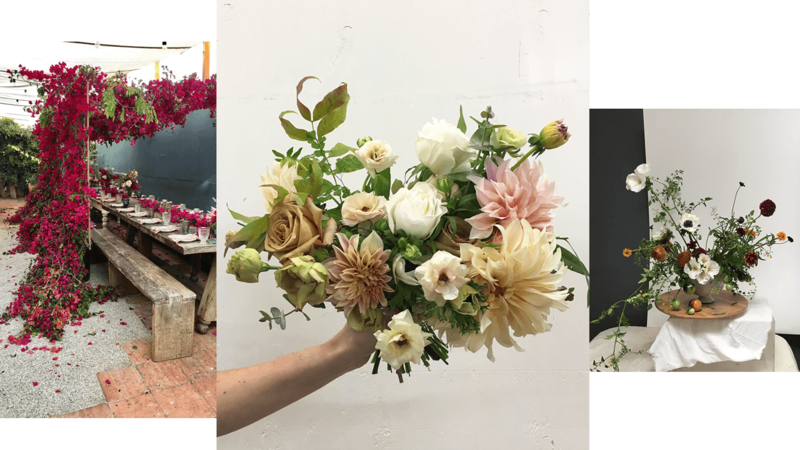 At Pigsty, we prioritize wild, warm, nontraditional floral design with an emphasis on locally foraged ingredients and California grown flowers. 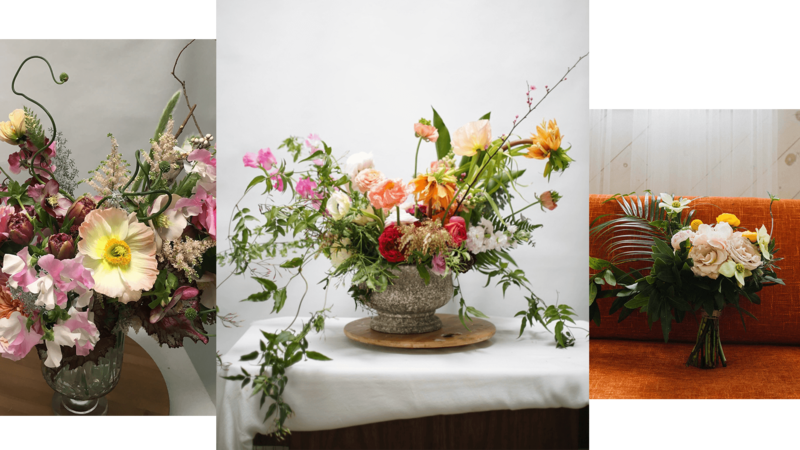 We design for weddings, events, and editorial shoots, and create bespoke arrangements for both home and business. Focused on the quirky, playful, deeply romantic and ethereal range of nature – we like to design with impish joy and respect for the great beauty of mother earth. In our arrangements you might find pomegranate, kale, blood orange, mint from Hope’s garden, Spanish moss or avocado leaves. Engineered by Hope Sword while in the mountains of Colorado, the business has developed its home in the sand, redwood trees, poppies, cacti, flora & fauna that is wild California. With deep admiration for our environment, Hope is acutely aware of her footprint and plays with flowers leaving the least amount of waste possible. Hope can be found drinking coffee in her bare feet, clipping lavender and kumquats from the garden, on her ladder installing a wedding in Malibu, or marveling at an unusual sweet pea at the flower market. *psst – Pigsty Studio is based in Venice, California but works around the globe. Pigsty arrangments can be found at select locations throughout Los Angeles, including The Butcher's Daughter, Rainbow Acres, Little Prince, Waterfront Cafe, Hatch, Felix & Living Libations.